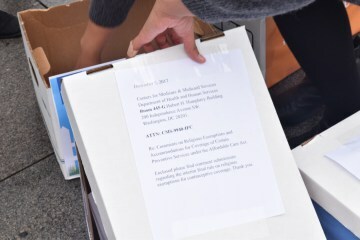 Activists delivered 512,811 comments to the Health Department. Tuesday is the last day people can comment on Trump’s birth control mandate rules. Before the clinic closed, she switched from the ring to an implant, a tiny rod inserted under the skin of the arm that lasts for four years. She doesn’t like that she no longer gets her period because of the implant; she’s noticed she gets more pimples too. The implant is not her preferred option but it’s long-acting unlike the ring, so she won’t have to worry about costs. 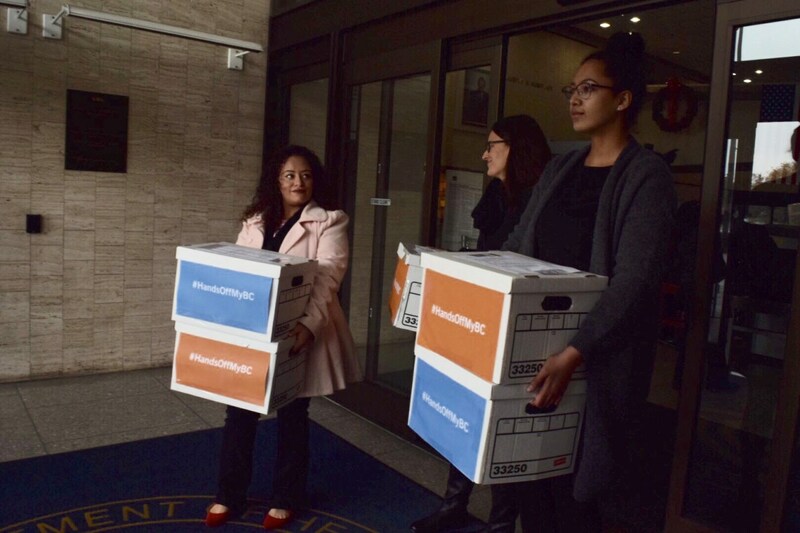 Vargas went to the Department of Health and Human Services (HHS) Tuesday to support Planned Parenthood as a patient advocate, and a dozen other reproductive and civil rights organizations. 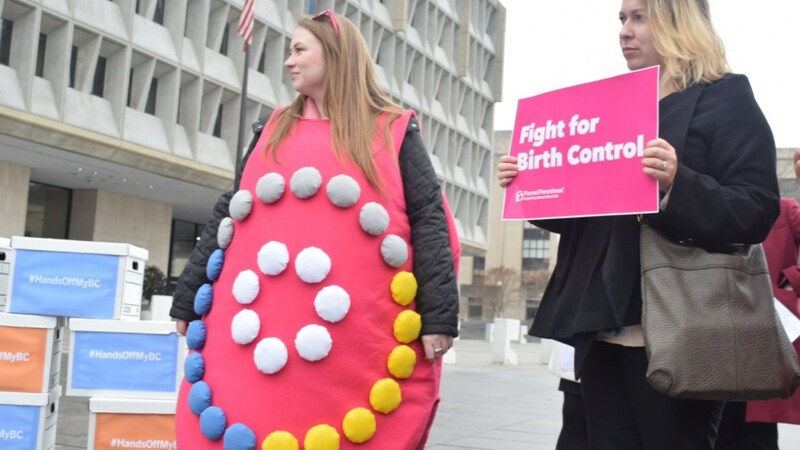 Advocacy groups crowded outside HHS to deliver tens of thousands of written testimonies, describing the impact contraceptive coverage has on millions of women and gender minorities. The Trump administration rolled back the Affordable Care Act (ACA) protection that guarantees no out-of-pocket costs for 18 different methods of contraception. The Trump administration issued two regulations that hobbled the contraceptive mandate: The rules permit some employers — including universities and colleges — to object to providing free birth control, citing religious and moral convictions. Although the rules went into effect immediately, people can formally submit a comment to the federal government. On Tuesday, various health organizations submitted 512,811. 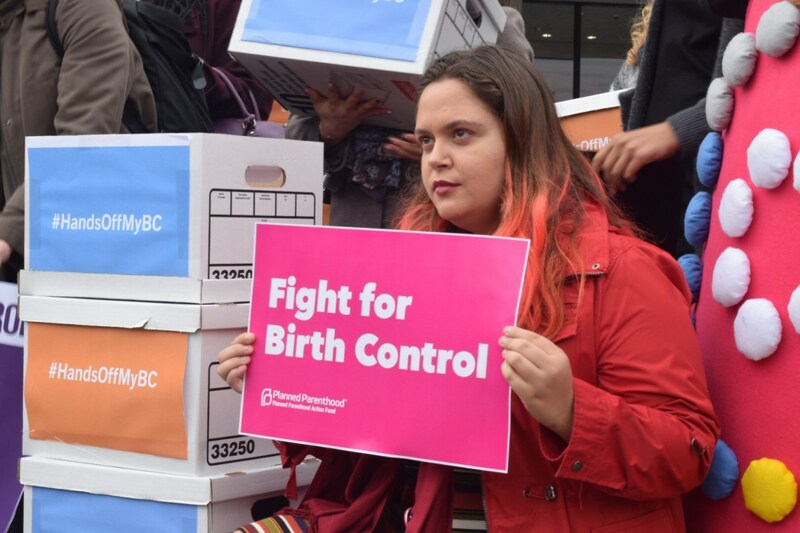 A BOX FULL OF COMMENTS EXPLAINING WHY THE TRUMP ADMINISTRATION SHOULDN’T ROLL BACK THE BIRTH CONTROL MANDATE. “We don’t know the impact but the agency has sent a clear message that essentially employers and universities can do whatever they want,” said Susan Inman, Senior Federal Policy Counsel at the Center. The Center hasn’t been able to catalog the net effect — at least not yet. So far 37,631 people commented on the moral exemptions rule and 38,613 commented on the religious exemption rule. People have until the end of day to post a comment on regulations.gov.